Have you heard about upcoming changes to the Visa Chargeback Monitoring Program (VCMP) or the Visa Fraud Monitoring Program (VFMP)? If not, you’d better listen up. Otherwise, you may find yourself breaching the Visa chargeback threshold, and stepping into a world costly fees and time-consuming red tape. What are VCMP & VFMP? As their names imply, the Visa Chargeback Monitoring Program and the Visa Fraud Monitoring Program are two separate programs administered by Visa. Their purpose is to help merchants manage their fraud and chargeback risk. In turn, this helps monitor the level of risk individual merchants represent to the overall payments environment. Of course, there’s much more to it than that. If you’re in one of these programs, it’s probably a less-than-pleasant experience. The standard VCMP has an enforcement period of eight months. During the first three months of that period, Visa will fine your acquirer $50 for every chargeback filed against you, which your acquirer then deducts from your account. For merchants identified as having “excessive” chargebacks, the duration is 12 months. You’re also subject to a $100 chargeback fee from the beginning. To top it off, in both the regular and the excessive program, you’re subject to a $25,000 review fee toward the end of your eight-month enforcement period. The standard VFMP also has an enforcement period of 8 months. While there are no fines for the standard VFMP, you do not enjoy the fraud liability protection offered by 3-D Secure. Instead, Visa will automatically assign you liability for fraud-related disputes (reason code 10.5 under Visa Claims Resolution). Sick of Chargebacks & Fraud? Left unchecked, chargebacks and fraud can destroy an eCommerce operation. Click below and defend your business today. You can exit any of these programs only after keeping your chargeback or fraud rate below the acceptable threshold for three consecutive months. If you make it through two months, then breach the threshold again, you’ll need to start over. Also, you can also be in a chargeback monitoring program and a fraud monitoring program at the same time. They’re independent of one another, and exiting one doesn’t mean you’ve exited both. If you fail to bring your chargeback or fraud rate under control after 12 months in any of these programs, you become eligible for disqualification. This means Visa can block you from accepting Visa payments altogether. Given that Visa is the most widely-used card brand throughout much of North America and Europe…disqualification is not an event your business is likely to survive. Why Would I End Up in a Monitoring Program? Warning Level: At this level, you’re not really in the program yet. This is simply a notification for you, as well as your acquirer, to investigate the root cause your rising fraud or chargeback levels. 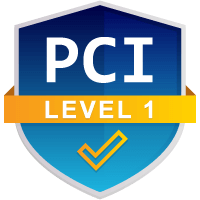 Standard Level: At this level, you’re allowed a four-month workout period, in which you can try to bring your fraud or Visa chargeback threshold under control. If you can’t, Visa begins your 8-month enforcement period. Excessive Level: This level is reserved for merchants who breach the designated excessive Visa fraud or Visa chargeback thresholds. Merchants in a high-risk merchant category code (or MCC) are also placed here automatically. This includes MCCs 5962, 5966, 5967, 7995, 5912, 5122, and 5993. It’s worth pointing out that, even though you can be moved from a standard monitoring program to an excessive-risk one, the opposite is not the case. Visa does not move merchants from the excessive to standard monitoring program, regardless of performance. How does Visa determine if you need to enter one of these programs? In the case of VFMP, Visa looks at your total fraudulent transactions reported in the last month (calculated in $USD). The company then divides that number by the total value of transactions you processed, to produce a fraud-to-sales ratio. 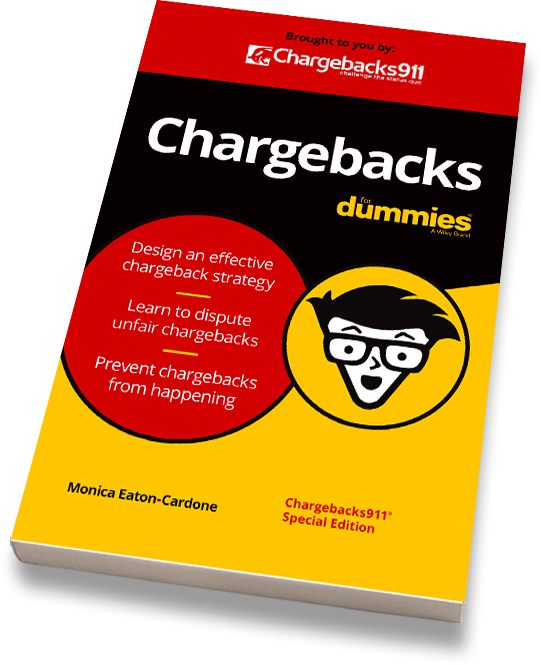 The chargeback program follows the same basic formula, only dividing your number of chargebacks each month by the total number of transactions. EXCEPTION: It’s worth noting that Visa only counts the first ten fraudulent transactions or ten chargebacks from a single cardholder. So, if a fraudster uses one card to run dozens of fraudulent attacks on you in a given month, only ten of those transactions will count. EXCEPTION: Visa excludes fraud type code 3 (fraudulent application) from your fraud-to-sales ratio, as per the Visa Core Rules. So, what are the chargeback and fraud thresholds? Where are the “lines in the sand” that you can’t cross? Visa’s current thresholds have been standard for a long time. 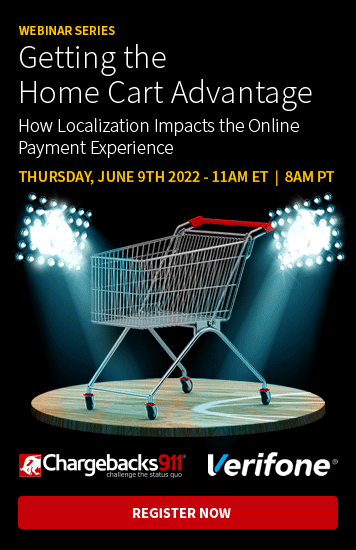 However, with the implementation of Visa Claims Resolution and other antifraud and chargeback measures, the company expects that merchants should have a lower overall number of incidents. So, effective October 1, 2019, Visa’s fraud and chargeback standards are going to get a bit more challenging. The bottom line: fraud and chargebacks are not going away. However, your margin of error is. It’s more important than ever that you take steps to minimize your risk exposure and try to prevent as many fraud attacks as possible. We recently offered some recommendations to ensure you’re covering your bases in our fraud prevention tools roundup, so check that out. What about chargebacks, though? It’s true that you can prevent most criminal fraud, but chargeback data suggests between 60-80% of all chargebacks are friendly fraud. Generally, there’s no way to prevent that. Friendly fraud is on the rise, while the threshold of cases Visa will allow is getting lower. It’s not fair…but it’s reality. That’s why your best option is to eliminate the possibility of merchant error wherever possible, then deal with friendly fraud through representment. Have additional questions about the Visa Fraud Monitoring Program or Visa Chargeback Monitoring Program? Do you need help bringing your chargeback ratio under the Visa threshold? Click below and find out how to lower your chargeback ratio today.